We arrived in Phnom Penh on August 12. It is good to be back on the field in Cambodia. We are in the midst of the rainy seasons which bring with it the adventures of flash floods. On Sunday evening, the street in front of our guesthouse was so flooded that the water was above the floorboards of our car. Thank God it didn’t leak. Today we will make our way home to Kampong Chhnang Cambodia a 1.5-2 hour trip over a narrow highway with every possible challenge from speeding buses to meandering ox carts. We are looking forward to resuming our work and ministry. 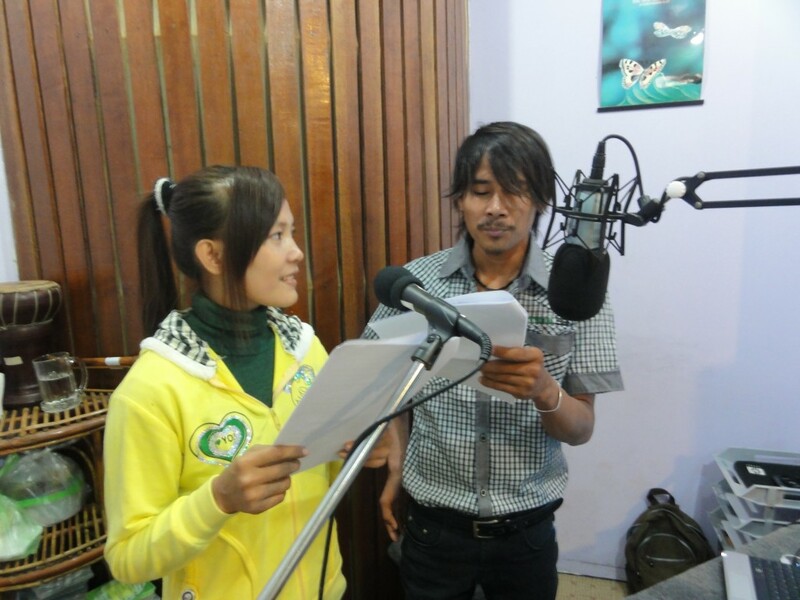 In March, Far East Broadcasting’s Cambodia FM 99.5 station was able to record the first 30-minute radio program. Darryl was very happy and pleased that even though he originated the radio program’s concept and the original script for the truth segment, the final product sounded completely Cambodian. For the Truth segment, Darryl writes dialogue scripts for conversations between two Cambodian university students “Nimol” and “Udom.” In this script, “Udom” and “Nimol,” discuss the evidence that helps them overcome their own doubts and the objections of others about the truth of Christianity. For the Relationships section, FEBC staff members prepare a dialogue about how Christians should relate to other believers and offer practical advice about how Cambodian Christians can maintain their witness and testimony with their non-Christian family and friends. The Experience segment was based on the testimony of Pastor Sok Em, our close friend, the founding director of Tahas Bible Institute. Sadly, Phearun who played the role of “Udom” in the Truth dialogue was killed in a traffic accident in Phnom Penh. Despite their sorrow over the loss of their co-worker, the staff at FM 99.5 found another young man to become the second “Udom.” Since then, they have re-recorded program #1 and are on schedule to record 2 episodes each month until they far enough ahead to begin broadcasting on the radio station which has a potential audience of 7 million of Cambodia’s 13 million population.